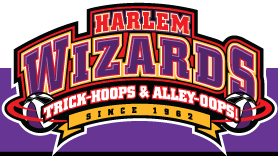 Purchase Your Harlem Wizard Tickets Today! Come see the Harlem Wizards take on the Montville Superstars on February 22, 2014! PLEASE NOTE: Tickets will be on sale at the above places listed and via our website online until 12:00pm Saturday – February 22, 2014. Thereafter, you will have to purchase them at the door. Rep. Bill Cassidy (R-LA) needs the support of at least 100 U.S. Congress members to bring to a vote H.Res.456 in the House Education and the Workforce committee. As one of your constituents concerned with the education of all of our children, I am counting on you to support this resolution. Rep. Cassidy’s Resolution recognizes each major element of dyslexia: its prevalence (1 in 5); the cognitive and neurobiological bases; its unexpected nature and persistence; its profound impact on education and the critical need for action by schools.